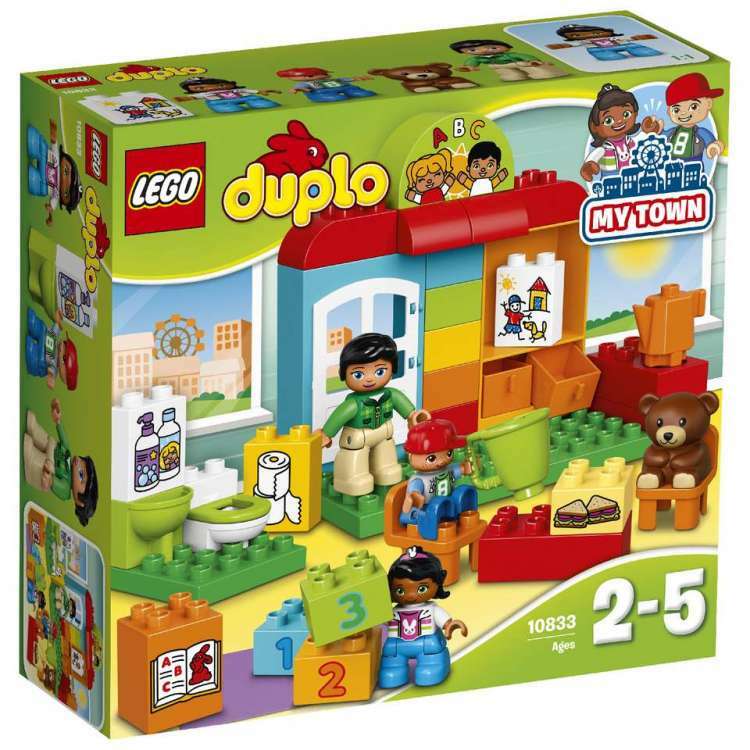 There was a plastic dustbin full of it in the loft, and now our grandson has graduated from Duplo, it was time to get it down and cleaned up for a new generation. 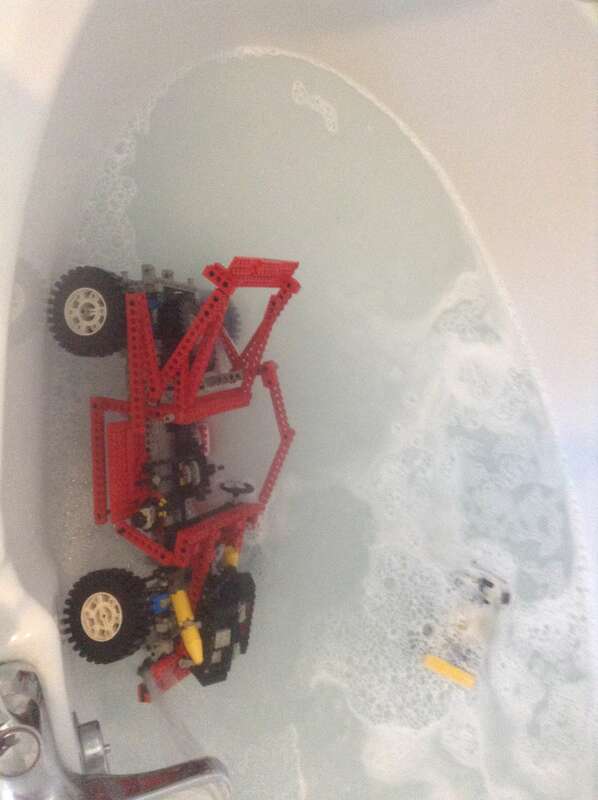 The sinks are full, the bowls and buckets likewise so now the technic chassis is having a bath! Lucky little sod! Lego will do him far more good than anything with a screen, I'd have loved technical lego when I was a brat but had to make do with the regular stuff. Assorted Lego is worth a fortune. 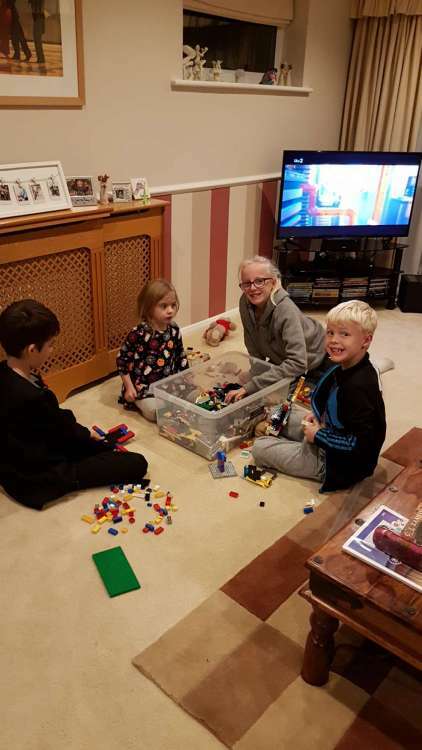 My grandchildren love it, you can never have too much. I was fortunate enough to have one of the first plastic Lego sets in the UK, sent over as a Christmas present by relatives in Europe. There were no design-specific components, such as we have today, just bricks, base plates and windows, with a few trees and some very European looking road signs. The roofs of buildings were either flat, or constructed by ever decreasing layers of rectangular bricks, giving them a stepped appearance. The set served me well from around the age of 4, then was passed down to my brother and eventually his children. The early bricks were made from an acetate-type plastic, which warped if you got them too hot, but I don't believe that the modern ones suffer in the same way. I also had Meccano, which I used to play with until my fingers bled from tightening the nuts. I would mechanise my models with a clockwork motor, an old wind-up gramophone mechanism or a Mamod steam engine depending on what they were and eventually acquired a phenomenal six-speed electric motor, which made all the others redundant. I believe that both these toys in their original form are an essential part of growing up and encourage construction skills, problem-solving, innovation and imagination in a way that modern toys do not. Even Lego seems to have gone down this route, with the introduction of kits of highly specific components, where the builder is supposed to merely follow a set of instructions rather than imagine, invent and build a model of their own. Certainly can (I think). If my memory serves me correctly, Bayko comprised thin metal rods to stick in a base board and patterned sections of walls or windows to slide between. I do, we never had any though - we had something called minibrix, rubber bricks that you built with much like lego. Baco yes, Meccano yes, always tried to play with it when my brother's back was turned! Phill's brother had a Mamod, awesome thing, but the boiler split so we couldn't pass it on. David(Warp) is the owner of this Lego treasure trove. Every Christmas we would be building the next big Technic thing. Train, tank, helicopter, chassis, as pictured in the bath! Then it was remote controlled Tamiya cars, Dave as chief engineer and me as 'gofer'. 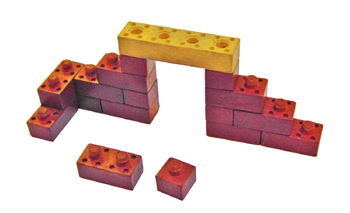 I had a Bayko set while my friend had a building set of little individual bricks etc, which came with a cement and you actually stuck the bricks together. The cement was water soluble and when you wanted to dismantle your building you left the whole thing in water until is started coming apart. Very messy and the novelty soon wore off. My uncle worked at Burtonwood American Air Base and we were the envy of our friends with some of the unusual presents we received. One I remember is an "Erector Set", the American version of Meccano - who Meccano eventually bought out. Newfooty was a rival to Subbuteo and at the time Subbuteo were changing over from flat cardboard figures to flat celluloid figures, Newfooty already had realistic figures. Dunno what you guys and gals are talking about but I remember getting this bad boy for my 17th birthday. I spent the whole day trying to finish it but I was well chuffed once I mastered it. What did a castle want with Weetabix? Very good John. I knew as soon as I hop it the button I was in trouble. Got the best meccano set ever on my tenth birthday, A series 2 landrover with a mechanical crane in the tub still playing with them. I can remember my mate having some of this. I can't for the life in me remember what it was called?? Any idea?? I found my old Mamod steam engine in the garage the other day when I was tidying up. The plan is to fire it up next week when our grandson is staying with us for half term. It looks basically intact although the whistle and steam valve are seized up solid and the water level plug (which I improvised when I was 12 after losing the original) has corroded away to nothing, The thread into which the plug screws looks ok so I have ordered a replacement - oh and the piston seems to have seized in the cylinder. Other than that the whole thing is covered with cobwebs, the brasswork is badly tarnished and the chromed strap that holds the boiler into its cradle is rusty. I have sprayed the seized valves and piston with plus gas and soaked these plus the safety valve with light oil and will repeat this treatment tomorrow. I must have been 14 years old or so when this was last fired up, so it has been laying there unused for more than 50 years. I will let you know how we get on. They're the ones, Gren. Used to have a saucer of soapy water to hand, they were a bit tight when new!